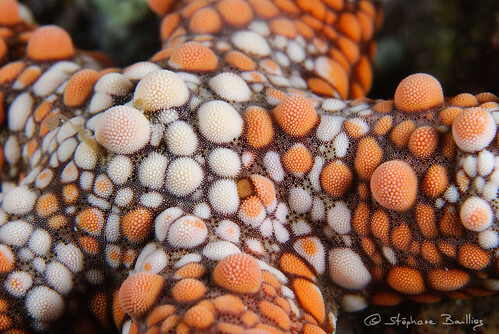 The Echinoblog: Starfish Macro Shots! Up Close Tropical Edition! 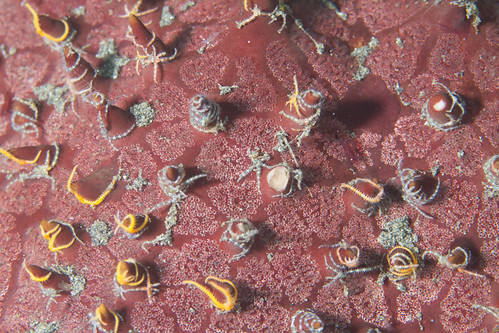 By now, a bunch of people have seen the incredible collection of close-up asteroid photos by Alexander Semenov and I reviewed them for the Smithsonian here. Those pictures were close ups of asteroids from cold-water settings in the North Pacific & North Atlantic. 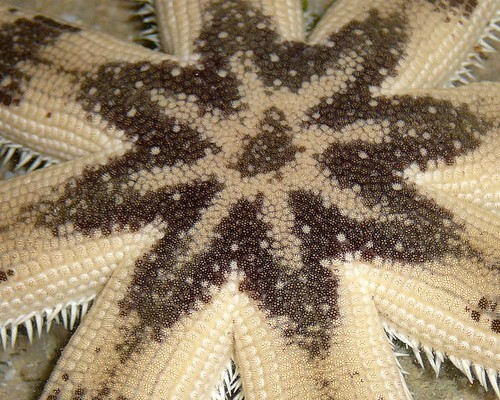 There's a very different fauna of asteroids in those parts of the world compared to the tropics. 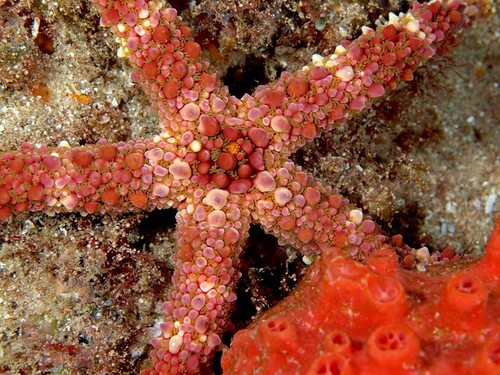 Most of the starfish in the tropical Indian and Pacific Oceans show a lot of granules, spination and armor and of course are composed of very different families of asteroids compared to those which live in the far North. 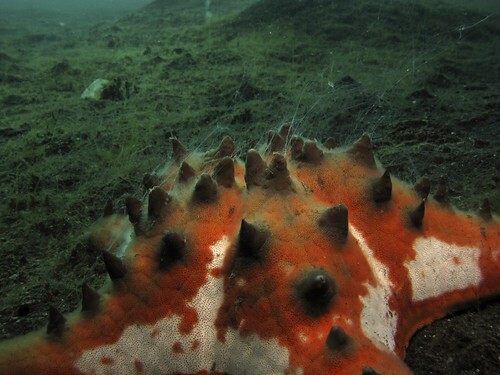 If you'd like to see some pics of the mouth armor in these types of starfish go here! 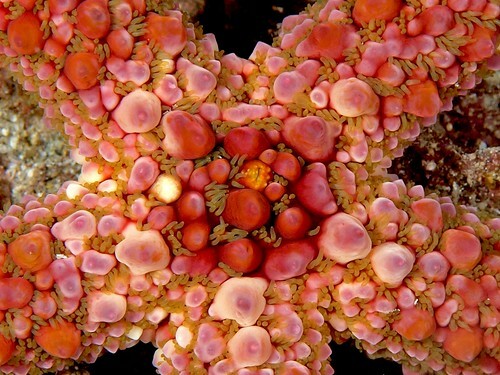 I start with the above : a STUNNING shot of Protoreaster nodosus, a commonly encountered sea star found throughout the Pacific. 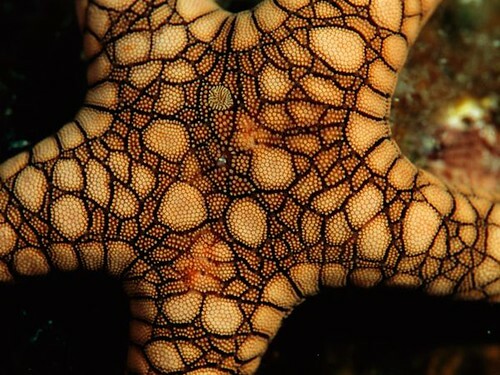 Shots below are macro shots showing skeletal features and colors of different tropical, Indo-Pacific starfish species. 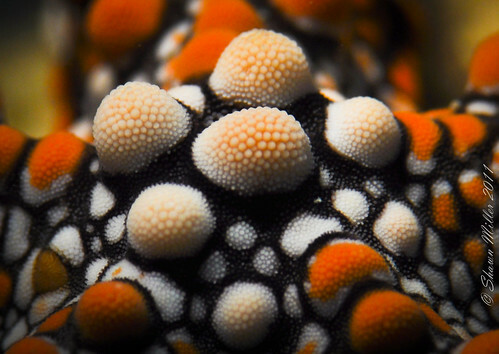 An awesome close up of the disk on Fromia nodosa from the Maldives. 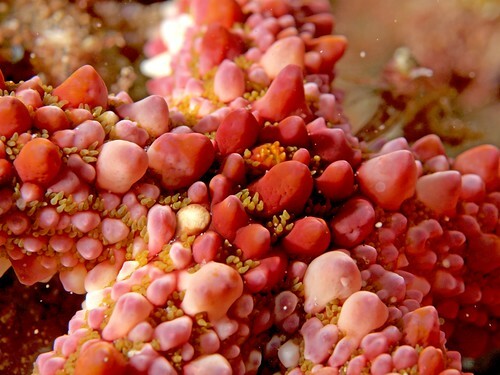 Image by Philippe Guillaume. 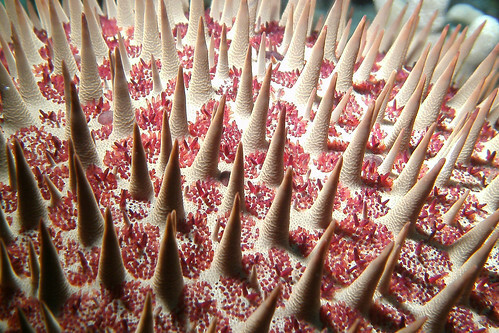 The papulae (aka the gills) and spines of Acanthaster planci-the Crown of Thorns starfish. 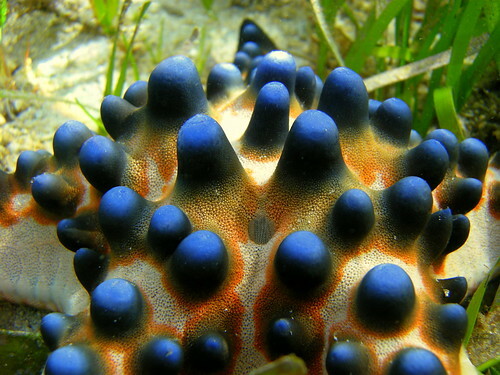 Image by Barry Fackler. 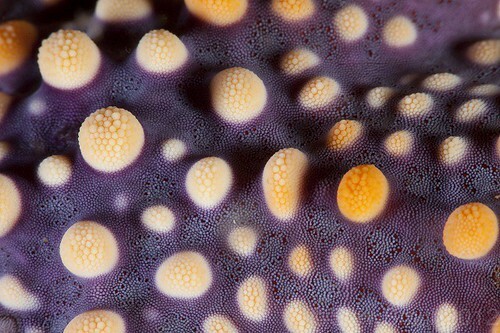 This one shows a close up of the gills of Acanthaster planci. 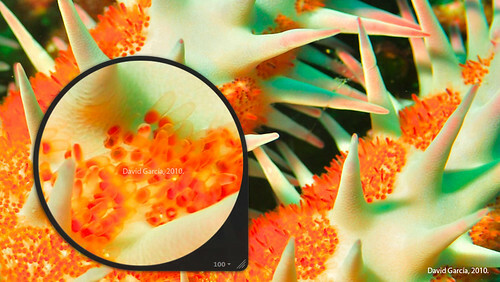 Image by David Garcia Fonseca. 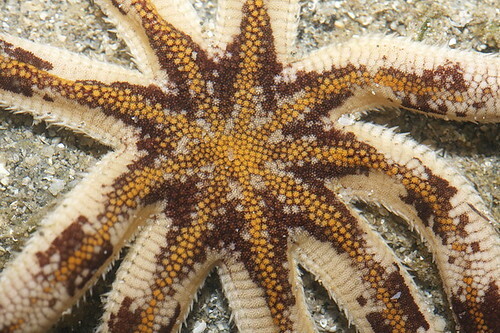 Surface spines on Pentaceraster. 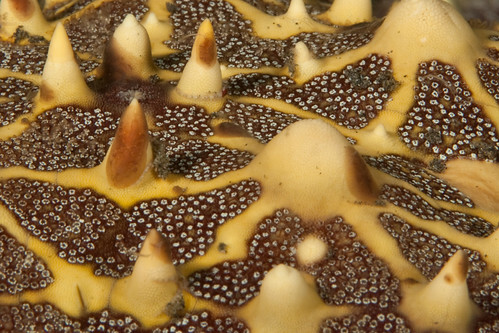 The tiny white circles on the brown spaces are papulae aka the gills. 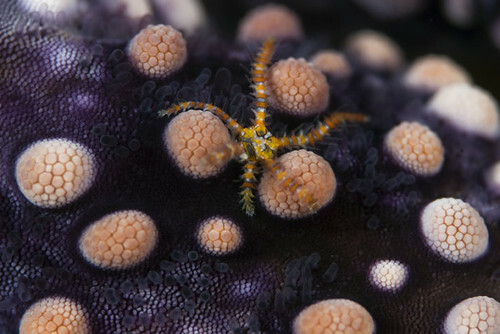 Image by Friscodive. 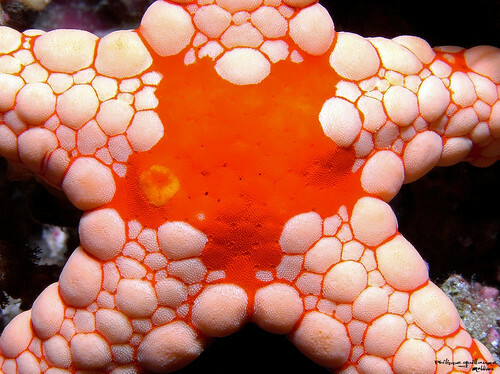 Surface close up on the cushion star Culcita novaeguineae from the Maldives. Image by Frédérique Jaffeux. 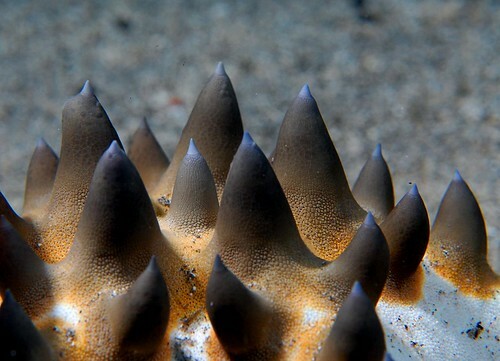 All the white pores are papulae aka the gills.